A real-time strategy game created in one week for a school game jam. You play as the optimistic owner of a newly-opened ramen shop in a world where you and everyone else are cats! 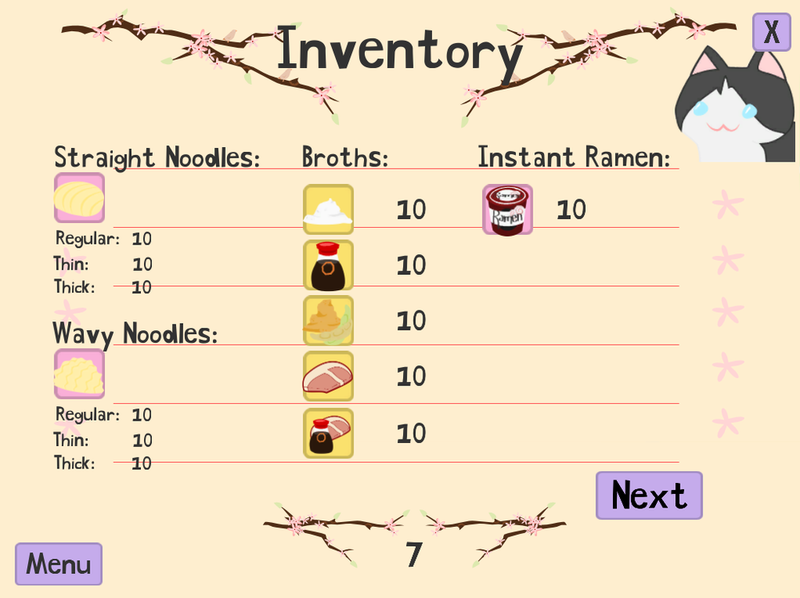 Run your ramen shop to perfection and keep all of your kitty customers pleased!